The Carrier GAPCCCAR2025 Air Filter for GAPAAXCC2025 will also fit compatible units by Bryant, Payne, Day-Night, as well as certain Honeywell, Space-Gard, and Trion air purifiers. 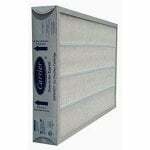 This Carrier air filter fits numerous units which use a 20 inch x 25 inch x 3 1/2 inch air filter. This replacement air filter is also a compatible replacement for other box type design air filters with nominal dimensions of 20 inches x 25 inches x 3 1/2 inches (actual dimensions: 20 5/8 inches x 24 3/8 inches x 3 1/2 inches). 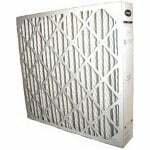 The Carrier GAPCCCAR2025 filter is also known by part number GAPBBCAR2025. Note that depending on specific supply received this filter may ship to you as either a Carrier filter or a Bryant filter though both filters are identical in size and effectiveness. While many filters only feature a MERV 8 rating, this Carrier filter boasts a MERV 15 rating, meaning it will reduce more pollen, dust, pet dander, hair, mold spores, dust mites, viruses, bacteria, fungi, and other allergens from your indoor air when compared to filters with lower MERV ratings. This is a genuine MERV 15 Carrier/Bryant Air Filter. The filter media in this Carrier air filter will alleviate allergies and sinus irritations that cause watery eyes, itchy throat, coughing, and sneezing. 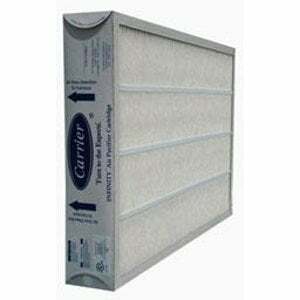 This Carrier filter will also prolong the life of your HVAC system by making it work more efficiently. 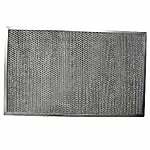 In addition to replacing Carrier air conditioner and furnace filters, this replacement air filter can also be used in any air cleaner, air conditioner, or furnace that requires a 20 inch x 25 inch x 3 1/2 inch furnace filter. This Carrier air filter should be changed about once a year under standard conditions or more often under severe air conditions.